What kind of room could this be? 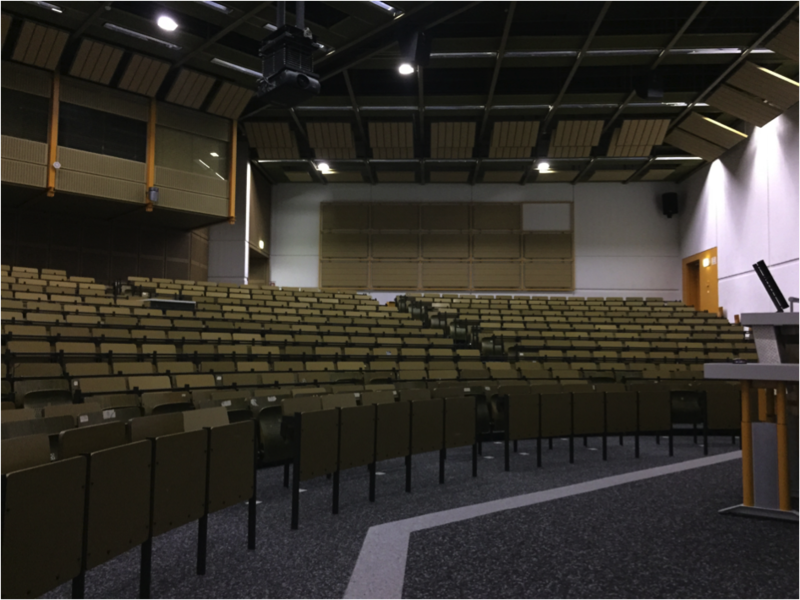 Many lectures are given in this kind of room and in most of the cases the students are visiting the lectures. However I often ask myself: Can students learn anything in this kind of room? I asked this question a few students and most of them answered that they just have a couple of more papers after a lecture. That is shocking to me. This fact could not be the aim of the given lectures. Luckily some students told me that this is not the case in all lectures. How much the students get out of the lecture also depends on the lecturer. So, the big question is: Does the architecture of a room influence the learning of students?